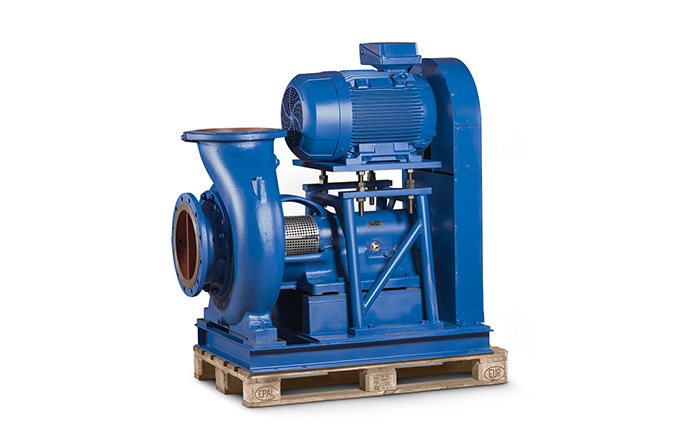 Pumps from KSB are known around the world for their long service life. The demand for spare parts and pumps manufactured as replacement for use in old systems is accordingly high. KSB ensures complete reliability of supply with its discontinued programme. Within discontinued programme KSB offers spare parts for old type series. At the Service plants in Bremen, Déville, Halle and Pegnitz, KSB manufactures pumps as replacement and spare parts for tried and tested pump type series from past sales programmes. More than 100 type series spanning over 60 years – hardly any manufacturer can match this. KSB offers long-term planning reliability for these predecessor models. Furthermore, re-engineering and modifications are also possible for type series from all manufacturers upon request. Produces pumps as replacement and spare parts for old pump type series and predecessor models – also those pertaining to French programmes. Makes pumps as replacement for pump type series manufactured at the former VEB-Kombinat Pumpen und Verdichter, a state-owned pump and compressor company. These pumps are used, for example, for irrigation and drainage as well as applications in the chemical industry. Supplies pumps manufactured as replacement and spare parts for pump type series from over 140 years of production.